Want to promote a market segment, or even help monetize your site? Refine the type of projects you want posted on your site, and Project Presenter will prompt any user's project that matches that criteria. 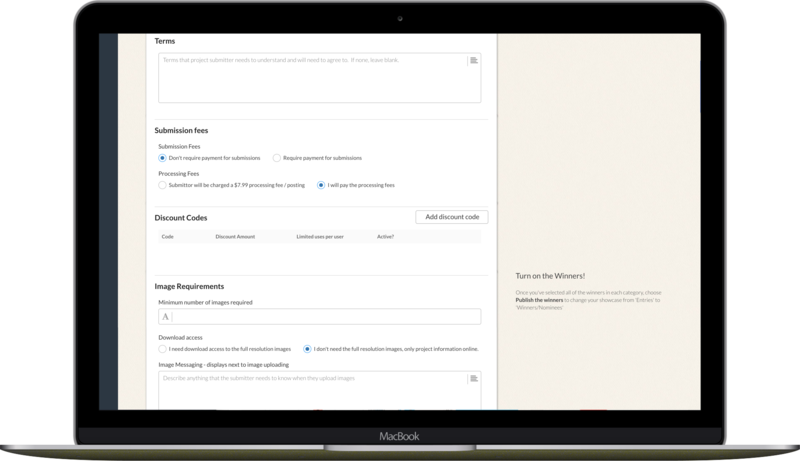 Set requirements for media, custom fields, and even roles on projects! Or, Memebers only! Set up a demonstration and we can discuss your specific needs. Tools at your fingertips to comfortably automate. We take photography and other media rights serious. 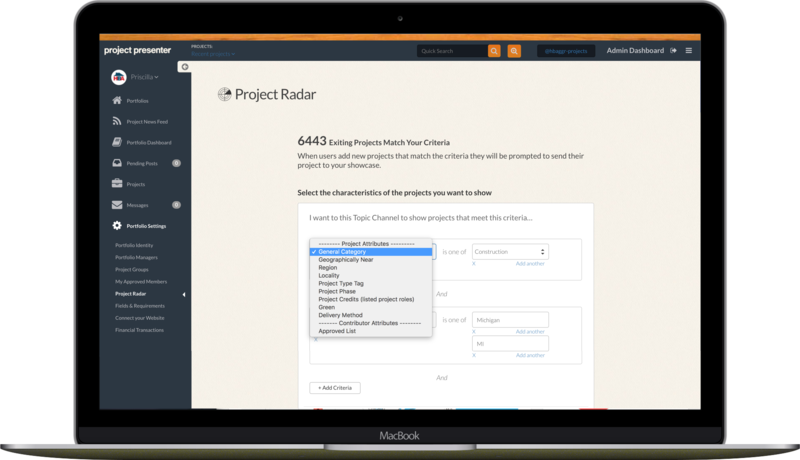 Project Presenter has full media rights features built in for users posting projects to insure they have the rights to share. Your project showcase can have multiple account logins to insure everyone at your company who needs access, gets access. 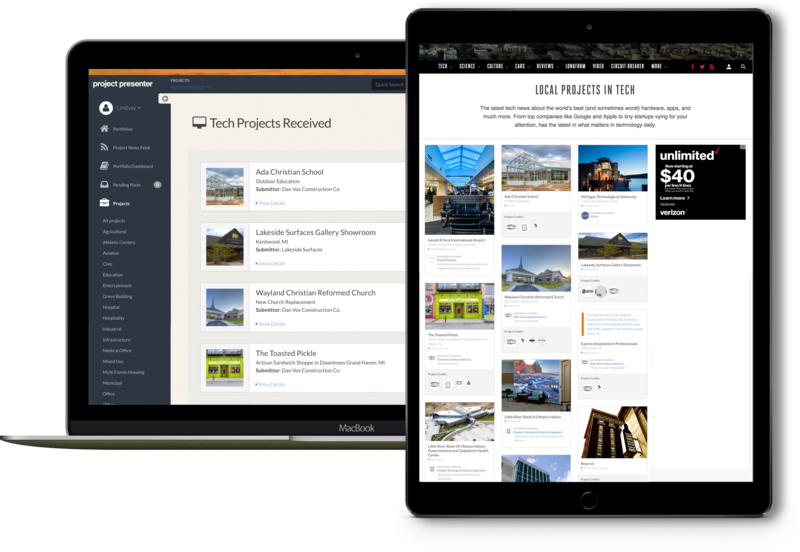 With our flexible integration options, the design and style of your Gallery/Feed of Project News is up to you. Visible stats on how many projects have been added and how many views they are getting on your site. Export the projects into a spreadsheet for further data analysis. A user inside of Project Presenter will be prompted to post to your gallery when your criteria matches their project.